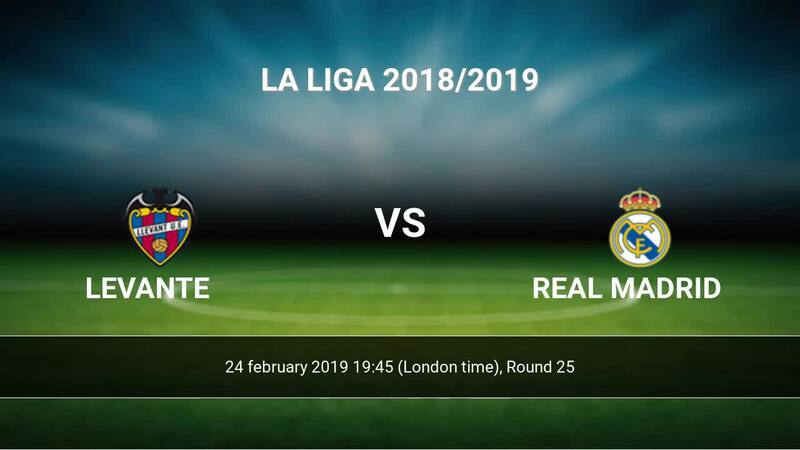 Match Levante-Real Madrid La Liga the fixture is set to kick-off today 19:45 on Estadio Ciudad de Valencia. Refereee Ignacio Iglesias. 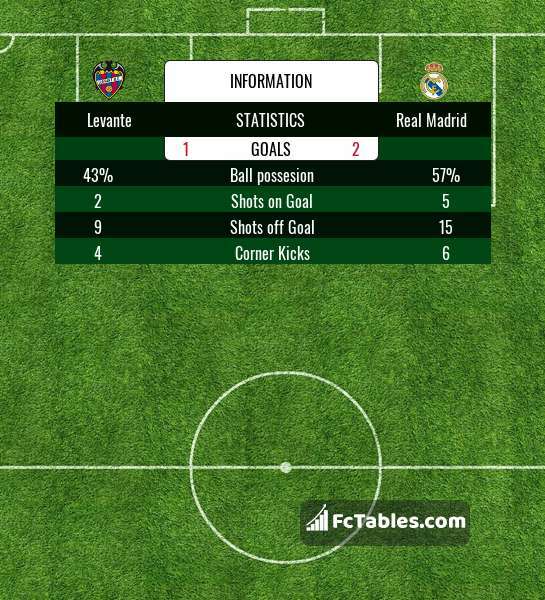 Team Levante is located in the middle of the table. (13 place). Levante in 5 last matches (league + cup) have collected7 points. Levante has not been defeated at home from 3 matches. The most goals in La Liga for Levante scored: Roger 9 goals, Jose Luis Morales 8 goals, Coke 3 goals. Most goals developed: , Jose Luis Morales 2 assists. In Levante not occur in the match due to injury: Sergio Postigo. Team Real Madrid is at the top place in the table (3 place). In 5 last matches (league + cup) team gain 12 points. away from 5 matches team have not been defeated. The best players Real Madrid in La Liga, who scored the most goals for the club: Karim Benzema 10 goals, Gareth Bale 6 goals, Sergio Ramos 6 goals. Players with the most assists: Karim Benzema 2 assists, Gareth Bale 2 assists, Sergio Ramos 1 assists. Sergio Ramos. They will not be able to play in the game due to suspension. Direct matches: Real Madrid won more direct matches. 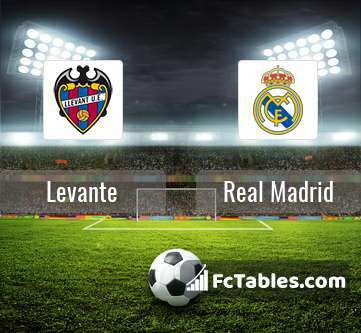 Levante won 4 matches , Real Madrid won 16 direct matches, was a 3 draws. In 14 matches the sum of the goals both teams was greater than 2.5 (Over 2.5), and 20 matches teams scored more than 1.5 goals (Over 1.5). In 10 matches the both teams scored a least one goal (Both teams to score).